Current students will provide you with a true understanding of what it is actually like to study at Middlesex University Dubai. 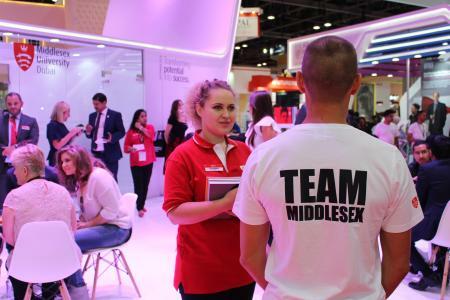 Visit Middlesex University Dubai at the Gulf Education and Training Exhibition (GETEX) 2019 and discover how you can pioneer your future with a Quality UK Degree this September. Taking place from Wednesday 17 April to Friday 19 April at the Dubai International Convention and Exhibition Centre (DWTC), the biannual event is the region’s oldest education led event, supported by the UAE Ministry of Education, Knowledge and Human Development Authority (KHDA), and the Knowledge Fund, attracting over 35,000 students from the UAE and across the globe each year. GETEX will provide you with all the information you need under one roof! Our faculty are there to answer all of your academic questions, and current students will provide you with a true understanding of what it is actually like to study at Middlesex University Dubai. 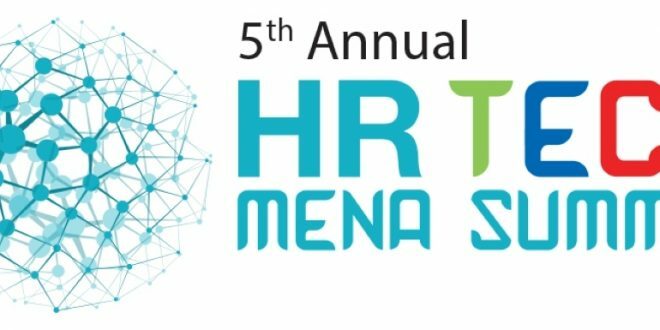 You can also hear from Alumni who have been through the whole process and are now working in successful positions in key companies across the UAE and worldwide. The student experience at Middlesex University Dubai is unlike any other in the region – bringing together UK academic excellence with a cultural experience that will provide you with a solid foundation for your future career. We pride ourselves on the success of our students – our Class of 2018 BA Honours Film alumna Sreelaskhmi Sateesh won three of the top prizes at the recent Emirates Film Festival (Best Picture, Best Screenplay, and Best Actress). Many of our Alumni hold senior positions in companies such as KPMG and Saatchi & Saatchi, or go on to launch their own start-ups. Class of 2014 BA Honours Advertising, PR & Media graduate Durga Nagarajan now owns her own Digital Marketing company which specialises in film, animation and production, and has three studios in India and assignments across the globe. Whatever you may choose to study at Middlesex University Dubai, all paths lead to the same qualification – a Quality UK Degree. Students can enrol for Undergraduate programmes including Business Management, Marketing, Accounting and Finance, Hospitality, Tourism, Law, Psychology, Journalism, Media, Graphic Design, Computer Engineering, IT, Film and many more. 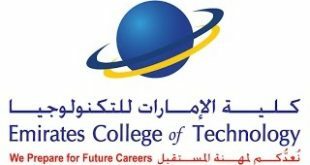 The University also offers a range of Postgraduate programmes including Robotics, Hospitality and Events Management, Digital Marketing, Law, Banking and Finance, and Applied Psychology, along with 9 MBA pathways including Innovation & Entrepreneurship, Islamic Economy, and Operations and Supply Chain Management. What are you waiting for? 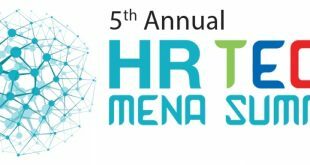 Sign up at GETEX to receive a GETEX Grant of AED 4,000 plus a GETEX Innovation Offer, along with exciting ways to win various prizes. Eligible students will also be able to find out more about the University’s excellent scholarship programmes (whereby students can receive up to AED 90,000 towards their tuition fees) and a 10% Postgraduate Study Grant.